‘Is it possible to ensure sufficient, good, healthy and sustainable food for all mankind?’ This is the main question for the Milan Expo 2015. The workshop ‘Food for life’ will focus on the serious problems that lay ahead concerning food, waste, water, by humans all over the world. It is obvious that in the next 10 years it is not only up to designers to change the situation. Together with Arend Roelink from IED a program working towards 2015 Expo in Milan.This has led to the creation of Food For Life, a workshop originating from the collaboration between the Netherlands Embassy and General Consulate, IED Milano and the Dutch Academy of Art ArtEZ, dedicated to the research and development of new design concepts on environmental themes, with the aim of understanding what the role of design in contemporary society could be, of stimulating the development of social design and preparing future generations of designers to think and design in a different way. For 4 days groups of students will work together on specific topics connected to the themes of water and food. 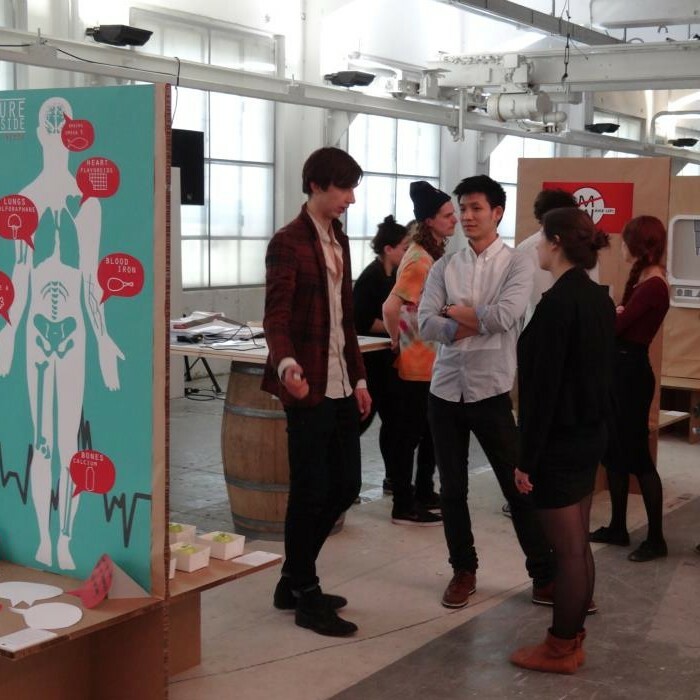 The results will be displayed inside the OCA space – Officine Creative Ansaldo during the Fuorisalone. The display will be part of Extrasmall, a design exhibition and workshop on the theme of self subsistence. Workshop 5 – 8 April IED/ArtEZ ///// Presentation 10th April Ex Ansaldo ///// Via Tortona Milan during the Salone del Mobile 2013.